SALISBURY, N.C. — Rowan-Cabarrus Community College announces those students who earned President’s and Dean’s List recognition during the spring 2018 semester. 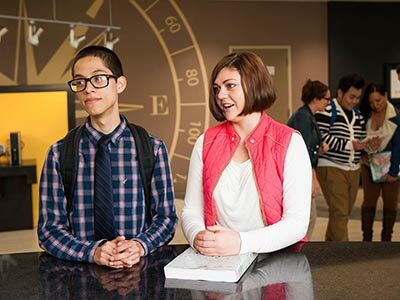 To qualify for the President’s List, a student must attend full-time, carry a minimum of 12 credit hours, and achieve a grade-point-average of 4.0 for the semester. Albemarle: Janice Chance, Jesi Parker; Belmont: Kelsey Whitesides; Catawba: Brittany Knox; Charlotte: Destyne Cresong, Jason Dzierzynski, Carolyn Givens, Kaelyn Hurley, Lindsey Kline, Kimberly Lagania-Crisp, Jamaal Livingston, Shantel Lowry, Daniel Luangsay, Robert Martin, Tracy McIntyre, Robyn Phillips, Alyssa Roberge, Chris Williams; China Grove: Alondra Amezquita Cardoso, Jennifer Carter, Michael Coffey, Melysa Dunlap, Donna Helms, Mariana Hernandez, Morgan Hudson, Jennifer Johnson, Aaron Kendall, Samuel Kilby, Matthew Lamb, Alan Moffitt, Alex Myers, Tangie Reynolds, Reuben Sanchez, Melissa Tortorello, Cinthia Villa; Cleveland: Hannah Allison, Grayson Annas; Concord: Magdalena Alvarado, Hunter Austin, Charisse Balem, Ronald Barnhardt, Addison Beer, Crystal Benitez, Tantilla Blakeney, Naomi Boakye, Keegan Bogolis, Josiah Brooks, Michael Campo, Tyler Canaday, Travis Cook, Jordan Cottle, Christopher Covar, Tyler Crabtree, Jennifer Crosby, Don’ta Cruse, Cesia Diaz, Lauren Dixon, Christopher Downing, Dylan Drye, Wesley Flantos, Amanda Forte, Christopher Hartsell, Thomas Heffernan, Jake Heintz, Stephen Hollifield, Lisa Holstein, Gabrielle Honeycutt, Jennifer Hooks, Meredith Horton, Matthew Ingold, Hunter Jones, Jasmine Kadel, Patrick Kelley, Andrew Kelley, Kamryn Kennedy, Heather King, Ashley Knight, Sheyanne Kue, Codi Laur, Jennifer Luna Tovar, Filipe Maia, Adam Marks, Vivian McElwain, Kenneth McSheehan, Marvin Mejia, Marian Mendoza Reyes, Hunter Morgan, Madison Murtagh, Rita Myrick, Eva Nicholson, Candace Nunn, Autumn Oglesby, Gloria Pacci, Sonia Pacheco-Herrera, Bailey Parker, Seth Roberts, Daniela Salazar, Moises Salido, Betsy Shaffer, Jessica Shifflett, Gabriel Simonds, Larine Smarr, Emily Smarr, Haliegh Solochier, Glenn Oliver Sta Ana, Natalie Templeton, Markala Tucker, Merle Villalobos Delcid, Nathan Wallace, Sean Walsh, Katherine Watson, Lezlie Westbrook, Deserea Williams; Cooleemee: Stephen Dennison, Aleksi Kinnunen; Cornelius: Kayla Doyle; Davidson: Bethany Finney, Shelby Helm, Emma Knudsen; Denton: Holly Kluttz; Gold Hill: Joshua Kegeris, Trevor King, Nathan Pressley; Granite Quarry: Kimberly Dougherty, Breanna Duke, Stephen Ward; Harrisburg: Ethan Abrams, Kail Amoakon, Madison Ebert, Elle Lowry, Rachael Pearson, Brittney Pruna, Brittany Simmons, Ashlyn Simpson, Glenn Watson; Huntersville: Paul Caston, Ciara Jansen, Riley Kaye; Indian Trail: Daijah Williams; Kannapolis: Amanda Baldwin, Stephen Blankenship, Anna Bost, Sabrina Brawley, Bobby Cain, Kenia Cardenas, Caroline Chambers, Bethany Conaway, John Cramer, Katelin Curry, Jessica Dabbs, Amber-Kaye Earl, Angela Gantkowski, Nikia Griffin, Eric Hamilton, Sharon Hampton, Marc-Anthony Hill, Natasha Hunter, Thomas Irwin, Jada Jackson, Vasilios Labrakis, Dawson Larrimore, Griselda Lujan Ramirez, Mercy McCain, Jennifer Nash, Yessenia Nieto, Amanda Odom, Susana Parker, Robert Scales, Ethan Stark, Chia Thao, Dylon Thompson, Matthew Wilson; Landis: William Boynton, Robert Frasier, Brandon Price; Lewisville: Rachel Foley; Linwood: Thomas Biaso, Jessica Bull; Midland: Alli Love, Rickey Moss, Lauren White, Lauren White; Mocksville: Lindsay Cartner; Mooresville: Samantha Cabe, Chandler Coe, Madison Mays, Deana Wilkinson; Mount Pleasant: Walter Austin, John Carriker, Kathryn Gibson, Alexis Gillette, Nicholas Sheppard, Deborah Smith, Dakota Stewart; Mount Ulla: Tyler Poteat; Rockwell: Crystal Hildreth, Dylan Lefler, Brittany Linker, Therl Lyons, Latthaphun McDonald, Kalyn Pethel, Devin Safrit, Hannah Stegall, Wesley Womble, O’Shannus Wood, Jennifer Yost; Rocky Mount: Amanda Roberts; Salisbury: Gabriel Allen, Kenya Allison, Kaitlyn Allmond, Julian Almaraz, Storm Andrade, Katie Barbee, Toni Bare, Haleigh Barnhardt, Rebecca Beaver, Shelby Bennett, Hawke Blust, Christopher Bonanno, Joshua Brewer, Amy Brown, Shalyn Brown, Kierstyn Buchanan, Jessica Cardona, Ermin Celebic, Vanna Christian, James Claiborne, Autum Cline, Sara Coe, Lindsey Cox, Johnathan Cromwell, Seth Culp, Jenifer Diaz, James Donnell, Brittany Douglas, Dana Doutt, Kendra Drye, Hannah Duncan, Josalin Guerrero, Megan Guzman, Autumn Hatley, Destin’ae Hill, Robert Hill, Catherine Holland, Johnson Huynh, Mahaley Jarvis, Kristopher Jones, Dakota King, Robert Layburn, Brian Lentz, Rachel Morales Mendoza, Jessica Morgan, Julia Murphy, Autumn Murray, Selma Mustafic, Ahmed Mustafic, Chioma Osakwe, Fred Overcash, Fred Overcash, Kia Palmer, Bethany Pantoja, Bobbi Propst, Taylor Quinn, Yisel Rivas Pacheco, Krystal Rothermund, Jordan Salyer, Bianca Sanchez, Aileen Sanchez, Jayland Sanders, Christopher Shupe, Kalah Simpson, Nathan Snider, Melissa Souther, Allison Stirewalt, Patricia Summers, Sheryl Trudeau, Jessica Webb, Tim White, Jordan Wilhelm, Nathan Workman; Spencer: Autumn Scott, Crystal Trantham; Waxhaw: Adam Kilgo; Wimberley: Alexander McNeel; Woodleaf: Shelby Graham, Alexis Honeycutt. To qualify for the Rowan-Cabarrus Dean’s List, students must attend full-time, carry at least 12 credit hours, and earn a grade-point-average of at least 3.5 for the semester. Albemarle: Cheyann Sirko; Arden: Samantha Brown; Charlotte: Alexander Sumo; China Grove: Zachary Tatarka, Jeremy Babela, Allyson Baxter, Lisa Bruni, Whitney Caplinger, Mark Huffman, Richard Johnson, Jarett Jordan, Micah Kelley, Megan Livengood, Christian McCora, Joseph Okelley, Zane Oliphant, Jessica Stewart, Zachary Tatarka; Cleveland: Lyndsey Helm Earnhardt; Concord: Sony Xiong, Brenda Armas Dominguez, Nelson Barbee, Jesse Barrett, Kristen Blake, Benjamin Boldt, Sedrica Brown, Sarah Bryant, Stephen Burgess, Lilibeth Camacho, Veronica Campechano, Kenya Cardenas Segovia, Shanek Carey, David Cassel, Matteo Contartese, Katherine Cress, Lyndsay Crowder, Anne Czobat, Christopher Daniels, Eric De la Cruz, Victoria Dombo, Natalie Faltyn, John Ferris, Sierra Fitzsimmons, Daniel Flattery, Alexander Gelis, Fausto German Jimenez, Christopher Gonzalez, Tanner Goodman, Johnny Gordon, Kaley Griggs, Tognisse Guezodje, Aidan Hayes, Madison Herring, Devin Hilfirty, Cody Hill, Tiffany Holland, Carrie Honbarger, Sydney Howell, Ava Hurst, Ashley Irizarry, Tanesha Johnson, Bailey Jones, Emily Joyner, Kayla Kennedy, Michael Kimes, Claudia King, Jennifer Koohestani, Sarah Krimminger, Brent Lee, Priscilla Lopez, Stany Lukumwena Kapuadi, Ivon Luna Jimenez, Britney Lussier, Samantha MacLaughlin, Medard Manuana, Alexia McDevitt, Stephanie Melo Pelaez, Angelica Mills, Jonathan Morrison, Candia Nelson, Ashley Newton, Briana Paniagua, Ashlynn Peralta, Alexander Pope, Luther Propst, Willow Quillen, Gerardo Quintana, Pablo Ramirez Perez, Andrea Rapay, Asia Ray, Kaitlyn Reisinger, Emily Rheinbolt, Ivanna Ruiz, Kesley Santiago Luna, Johanna Santos Garcia, Diana Segovia, Brenda Sharp, Jemuel Shaw, Cory Sheets, Erica Sherrill, Shawn Smith, Tiffany Smith, Adrian Stallings, Heidi Swinson, Emily Szekely, Joshua Teague, Charlotte Thatch, Shakur Thomas, Susan Turner, Jaeda Wagner, Farrah Walker, Ewanya Watson, Ryan Weill, Gwendolyn Williams, Angela Wilson, Sony Xiong; Cornelius: Emma King; Davidson: Wyatt Ledoux, Joshua Ore, Breeze Rattler; Denver: Christine Tobias; Faith: Gabriel Peeler; Glendora: Salem Tedder; Gold Hill: Schrade Daniel, Ashley Hill; Greensboro: Kafoumba Kamara; Harrisburg: Sophia Bryant, Melanie Deguzman, Phillip Griffin, Cathy Nkokesha-Lubamba, Hannah Shumaker; High Point: Symmantha Quick; Huntersville: Tramaine Mills, Mary Sapp, Kenneth Vanallen; Kannapolis: Casey Abba, Charles Barnes, Brandi Blackmon, Rachel Center, Jacob Cibas, Nolan Collins, Kristen Compton, Megan Conard, Joanna Eldreth, Noah Eller, Cory Gainey, Elizabeth Galloway, Lexi Gordon, Matthew Griffin, Kaleb Hall, Stephen Harnois, Levi Harrington, Jazmin Harward, Joseph Hiester, Laura Holland, Logan Hudson, Maricela Lara-Segura, Kalia Lo, Chase Logan, Okleisha Moore, Heather Morgan, Stephen Netzley, David Owens, Noopur Parikh, Haleigh Patterson, Melina Pinales-Jacquez, Marjorie Reyes, Silvia Santacruz, Kayla Seabolt, Stacy Stein, Annah Stout, Jessica Taft, David Vasquez, Amanda Ward, Gracelyn Watson, Emily Wood; Knightdale: Elijah Jarvis; Landis: Ociel Benitez Castro, Alex Blackwelder, Rachel Honeycutt; Lexington: Jared Geddes, Shawn Jones, Regina Justice, Marycus Murphy, Wendy Turner; Linwood: Joy Elizabeth Brame, Andrew Lowman, Amber Rose Ribelin; Matthews: Faustina Therase Jeyaraj; Mint Hill: Jeffrey Bell; Mocksville: Chanel Sturdivant; Monroe: Ashley Carpenter; Mooresville: Lyndsey Edwards, Elena Gorinova, Devin Isler, Rachael Killette, Taylor Lee, Brian McGuire, Hannah Sanders, Marissa Sides; Mount Pleasant: Hunter Buckwell, Kyle Fincher, Makayla Rider; Mount Ulla: Jillian Clary, Jodi Nesbitt, Hailie Howard; New London: Holly Wiseman; Norwood: Zachary Duell, Randy Springer; Richfield: Ashlyn Page; Rockwell: Blake Barrett, Sara Coello, Sara Coello, Zoey Fowler, Johnathan Furr, Katlyn Gobble, Coraima Ortiz-Juarez, Zackary Pillsbury, Scott Sabo, Aaliyah Smalls; Salisbury: Jessica Absher, Alexandra Alderman, Kirsten Alderman, Irving Avilez Hernandez, Nathan Bame, Sierra Barger, Karen Brown, Christion Burns, Christopher Camacho, Kyah Chapman, Travis Cone, Madison Creswell, Carlie Darnell, Rudy De la Rosa, Isabella Diniz, Jessica Driver, Meagan Edmonds, Khara Fesperman, Tanner File, Hannah Frick, Leonel Garcia-Aldaco, Ramon Garcia-Guerrero, Star Griffin, Tiffany Hall, Taya Hanno, Dallas Hatley, Michael Hatley, Catherine Helm, Amber Henderson, Megan Herge, Amanda Honeycutt, I’Jaha Horne, Joseph Hurst, Kyle Incardona, Jessica Jacobsen, Jennifer Jaramillo Aguilar, Patricia Krokus, Jennifer Leatherman, Celeste Leblanc, Nallie Lee, Ryan Leonard, Chaney Lowe, Thomas Lowman, Aleyris Martinez, Kymberly McNeely, Justin McNeely, Marissa Meadors, Ashley Melton, Katlyn Menius, Aaron Mims, Jacob Mohammad, Dwyane Mutevelic, Graciela Nunez, Carlos Ordonez, Jashira Ortiz Santiago, Antoni Pacheco Mendoza, Erika Peerman, Haley Perry, Kimberly Phillips, Isel Quintero, Irma Quintero, Brittnie Rathke, Laurel Roberts, Kyle Roe, Susana Saucedo Mata, Lee Sharum, Marshall Smith, Kayla Smith, Karli Snider, Diana Soto-Pichardo, Sierra Steckler, Steven Swaney, Monica Teodorovici, Kia Thao, Samantha Thomas, McKenzie Upright, Dalton Walser, Corey Wheat, Zachary Yuhas, Mirian Zepeda Medina; Sherrills Ford: Rebecca Dehart; Spencer: Debra McLaughlin, Taylor Wilson; Stanfield: Sidney Bumgarner; Statesville: Keno Clarke, Brittany Honeycutt, Thomas Johnson; Thomasville: Shana Carver; Woodleaf: Elena Cornejo. For more information about Rowan-Cabarrus Community College, please visit www.rccc.edu/apply or call 704-216-RCCC (7222). 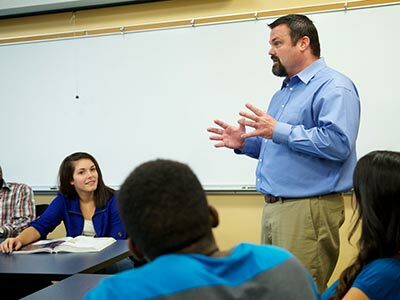 The College is currently accepting applications for fall 2018 semester with eight-week classes beginning on October 19, as well as applications for the spring 2019 semester with classes beginning on January 7, 2019.